Now, I’ve been many strange things in video games, from the test subject of an evil AI to a wizard in a world where they speak funny, and even a bounty hunter with a fancy power suit, but never, not even once, a giant crab. That alone should be enough to make you consider picking this one up – provided you have an iPad that is. But there’s more to this rage fueled revenge trip than simply flailing your huge claws around to destroy trains, cars, meteors, sharks with laserbeams and plenty of other things. See that coin counter in the top left corner? After each session, you’ll get to spend them on various upgrades and bonuses, available from the in-game shop. How does attaching a lightsaber to one of your claws sound? Crazy? 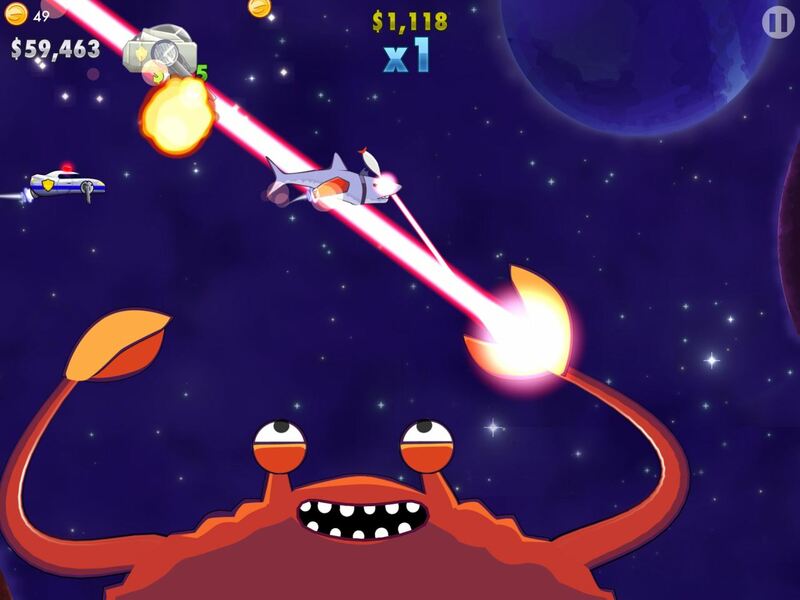 Right, because playing as a giant crab in space is completely normal (not really, but it definitely looks like fun). Humanity never learns. It’s time for their lesson. Something tells me that the crazyness revolving around Crabitron (iTunes) will be able to provide both entertainment and a breath of fresh air for iPad owners, especially those who enjoy destroying stuff! And don’t forget to check their Crabstarter, a unique version of the crowdfunding model created specifically for this game. So, who’s ready to go space crab crazy on mankind?